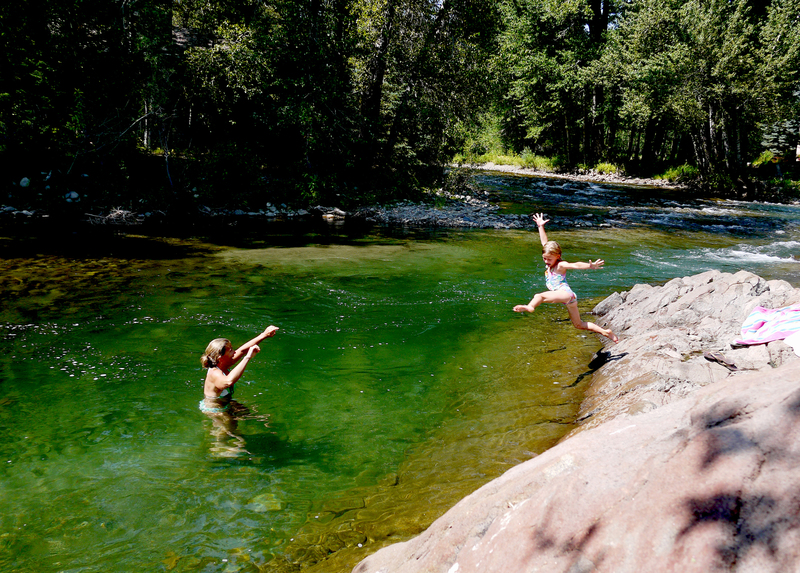 Locals know there is a fountain of youth in Sun Valley, and it’s hidden on the daily pilgrimage up Bald Mountain. Hikers of all ages climb to the summit via the Bald Mountain Trail then hitch a free ride down on the Christmas Chairlift and Roundhouse Gondola. If you get hungry on your trek, swing by the Roundhouse for lunch. Free music is on tap almost every night of the week in Sun Valley. Pack a picnic dinner, a bottle of wine, and a blanket for Ketchum’s Ketch’em Alive on Tuesday night and Jazz in the Park on Sunday night. Enjoy free music at the Wicked Spud in Hailey on Wednesday night, and Mahoney’s in Bellevue on Thursday night. Check out a full list of music events, including the free Summer Symphony, on our calendar. Enjoy free yoga every Saturday morning on the lawn at River Run. Sunrise Flow starts at 8:45AM and Gentle Yoga, suitable for all ages and abilities, starts at 10:00AM. Be warned: it’s hard to hold a tree pose while taking in the incredible mountain views. The rivers and creeks around Sun Valley are a fly fisher’s dream. 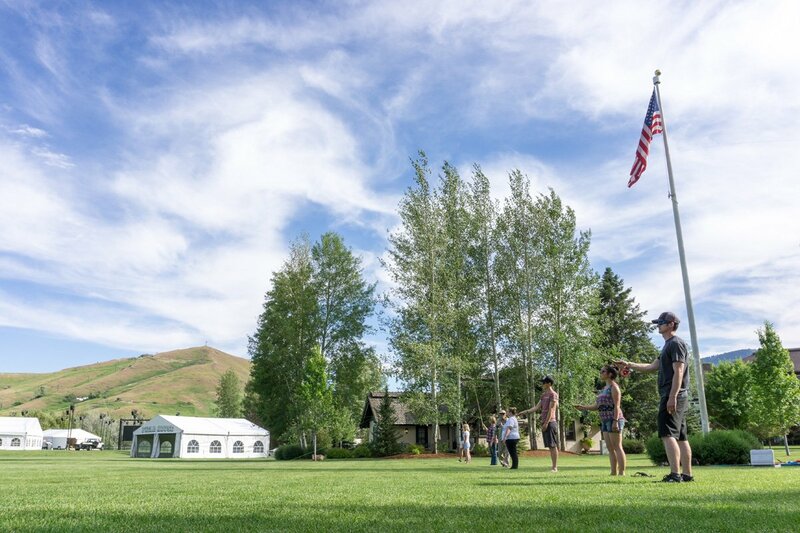 Learn the basics of fly casting with free lessons from Silver Creek Outfitters every Tuesday through Saturday at 5:30PM on the lawn at the Sun Valley Inn. No experience required except a sense of humor for when you catch the tree behind you. Come as you are - all equipment is provided. It’s a dog’s life in Sun Valley. Between the endless miles of hiking, swimming and dog friendly events, your pooch has never had it so good. Don’t have a dog? 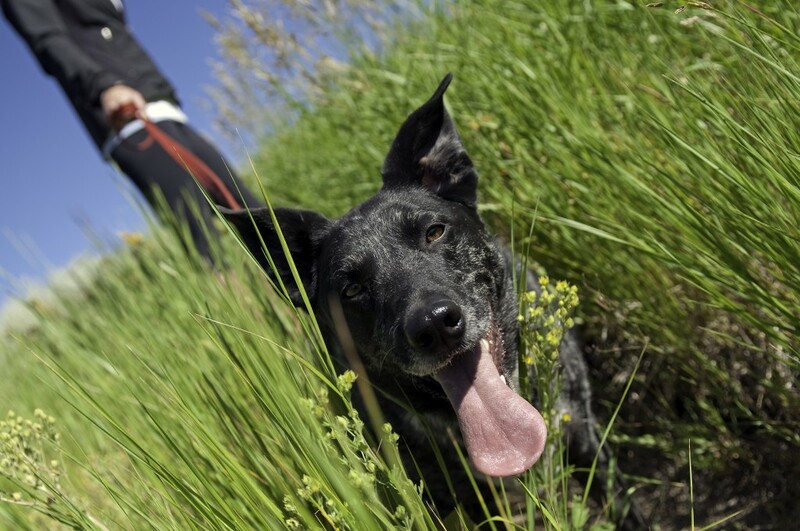 Join the Animal Center of the Wood River Valley at Adams Gulch on Wednesdays from 9:00AM-3:30PM for Hikin’ Buddies. Bring the family and take a dog out for a romp through the canyon. Interact with engaging speakers year-round at the Community Library’s free series of lectures and discussions. Topics range from climbing the seven summits to the Civil War. Call ahead to reserve a seat if you want a guaranteed spot in the main lecture room. For those interested in local history, hop on the free Sun Valley Story Tour every Friday. Find out where Hemingway dined with his wife for the last time, the location of Union Pacific Railway Terminal, and more. 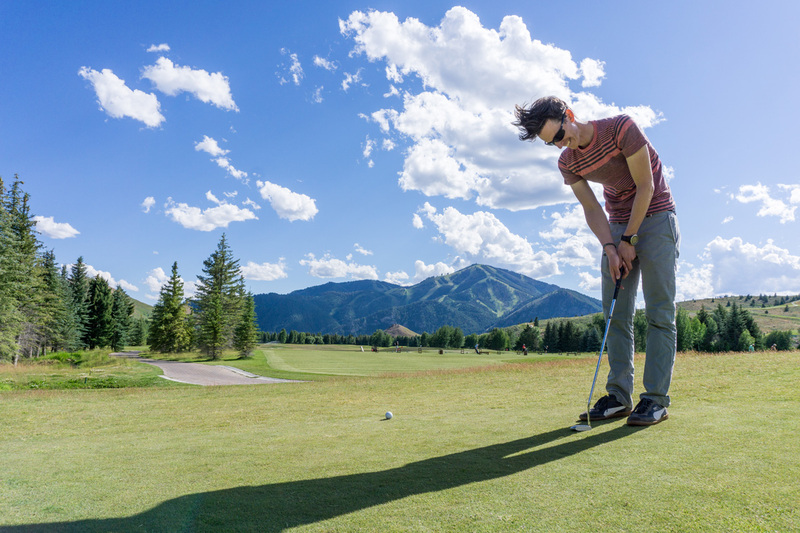 Enjoy epic views of Bald Mountain while playing a round at Sun Valley’s 18 hole Sawtooth Putting Course. Scoring a par on the putting course will make you feel like a serious - though not too serious - golfer. Grab a cocktail at the Sun Valley Club to sip as you play. Cost is $8 per adult and $4 per child under 12. Putters and balls provided. 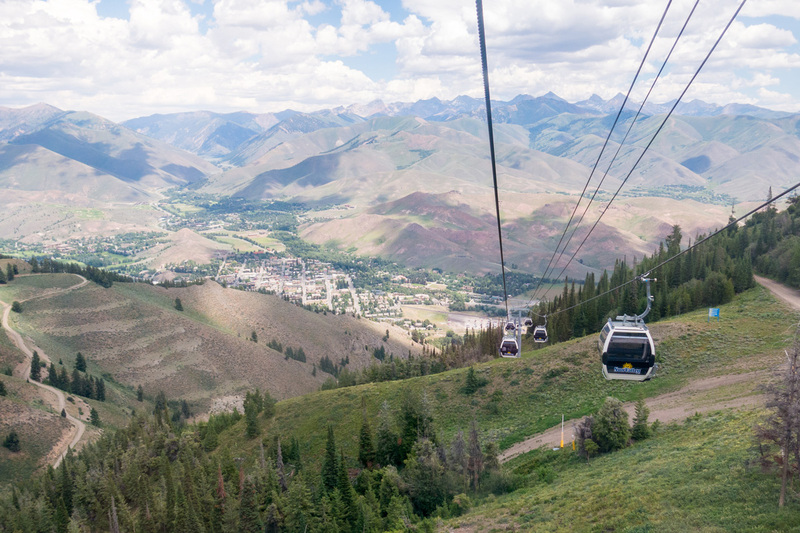 Have your own favorite free and cheap things to do in Sun Valley? We want to hear them. Leave us a comment and let us know!